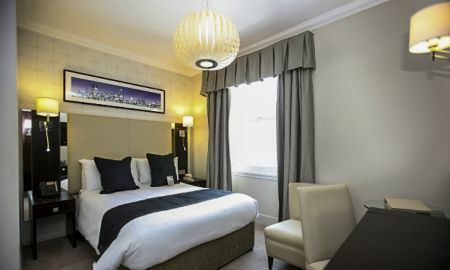 Rydges Kensington London is a boutique hotel situated in Kensington, one of London’s historic tree-lined avenues. 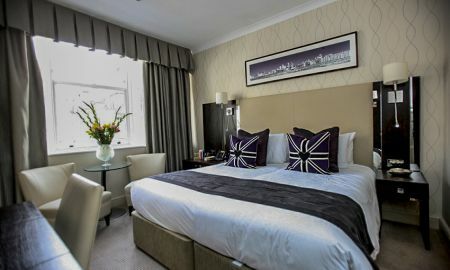 The proximity of Gloucester Road tube turns this hotel into a perfect starting point to visit the main attractions of London. 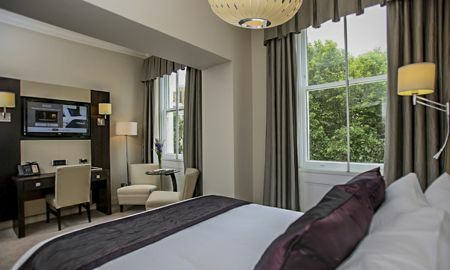 This luxurious accommodation has many Standard and Executive rooms as well as Premier and Kensington suites equipped with cutting-edge, modern, new and stylish amenities which make your stay in London more pleasant and unforgettable. If you want to plunge into the typical atmosphere of an English pub, the Polo Bar Kensington is the perfect place for your relaxing evening around a charming fireplace. With its wonderful New York-style central bar, the Jam Cupboard Restaurant is a true paradise for a relaxed lunch or supper. It is one of the most chosen places in London for weddings, meetings and events and it serves English and International dishes made with fresh and refined ingredients. Open all day long, the Rydges Kensington London Gym is a unique environment to keep fit during your stay or to attend your daily training session. 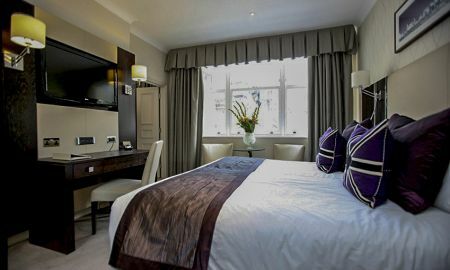 Rydges Kensington London is situated in Kensington, a charming and famous vibrant avenue in the heart of the London. 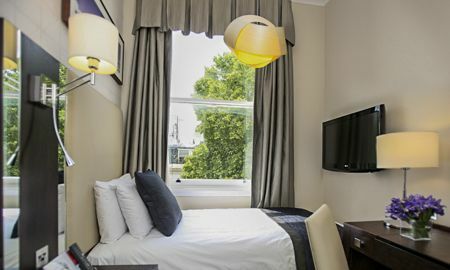 Its location enables visitors to reach V&A and Natural history Museums, Hyde Park, Kensington Gardens, Royal Albert Hall, Harrods and the shopping district of Knightsbridge by train or on foot in few minutes.